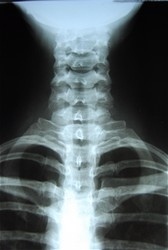 X-rays are often taken on most patients to give the doctor an inside look at what is going on with the bone structure of the entire spine and surrounding skeletal structure. From this x-ray, the doctor can tell your current spine angles as well as any potential further issues including the potential for additional information such as an MRI. Please bring a copy of any imaging you may have. If any imaging is needed we will refer you to a facility that will be covered by your insurance.